Discussion in 'Ad Campaigns' started by ToniOrtega, Oct 24, 2009. I hope you guys would post marvelous and magnificent (fake) ad campaigns!! 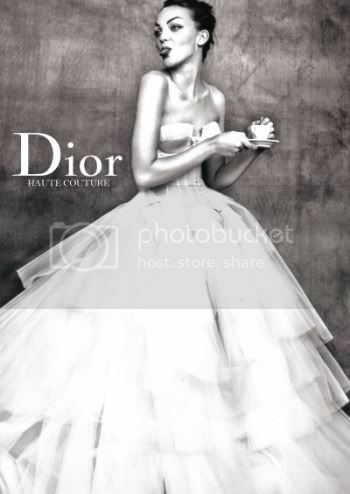 Dior Couture rules!Dior Couture-The finest couture ever.Dior-The best. I'll try to make the credits more acceptable next time!! Thank you for telling me! And I hope you yourself can give a wonderful entry for my thread! this is fun! i think i'm gonna try to make one. I love this! I think I'll participate soon. Picture from: Harper's Bazaar Romania (winter 2007/2008) "High Fashion"
Zhanna, i LOVE LOVE LOVE your Ad campaigns!!! Here is a one that I have just quickly made. ^Good too see one that can be an actual ad. Yeah,the last one is so sweet,at the same time so flirty and so amazing!